Prochem pinch valves are probably the simplest form of on/off or flow control valves available. They are suitable for handling a wide range of solids, sludges, and liquids. The valves are of extremely simple construction with only two major components – a flexible elastomeric sleeve contained within an annular body casing. The wearing component count is limited to just one item – the easily replaced sleeve. Pinch valves are very versatile and can be used for several different duties – on/off, flow control, pressure relief, or pressure loading. When compressed air, water, or other pressure fluid is introduced into the annular casing the sleeve closes providing predictable closure and a large sealing area for drip tight shut off – even with trapped solids. When open, the valve becomes part of the pipework with minimal pressure loss and no ‘dead’ pockets. 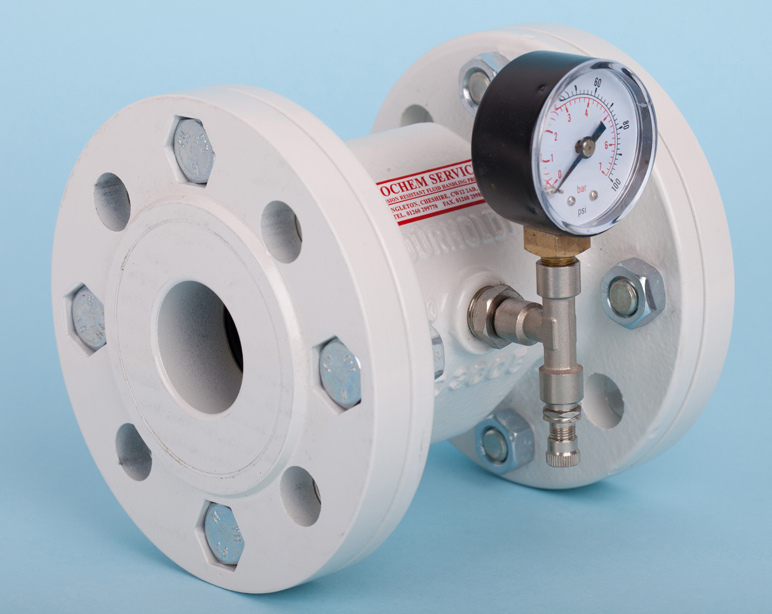 By pre-charging the annular casing with air, pinch valves make excellent pressure relief or pressure sustaining valves. The valve remains closed until the line pressure approaches the pressure within the valve chamber when the sleeve opens and allows flow. As the line pressure drops below the pre-charge level the sleeve closes once more shutting off flow. On/Off or Control valving for slurries, sludges, liquids, powders, sand etc. Pressure relief on positive displacement sludge pumps i.e. raw/treated sewage. Pressure loading on lime slurry dosing systems. On/Off, control, or pressure relief/loading duties with abrasive or corrosive liquids. Water & sewage treatment plant fluid handling. Air-locks for powder handling systems. On/off, control, or pressure relief duty? Fluid nature, pressure, and flowrate. Construction materials preferred (if any). Connections required and line size (if existing).